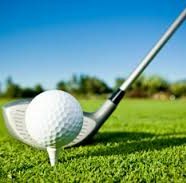 TVDSA will be hosting the 2018 TVDSA Golf Tournament at Eagle Hills Golf Course. This is a fundraiser for TVDSA with the proceeds going to fund existing and future programs provided by TVDSA. This will be a great time and for a great cause. Your participation is fundamental to our success! Players need to be at least 14 years of age and all abilities welcome. Players that have Down syndrome and are TVDSA members get FREE registration. Even if you do not want to play, there will be numerous sponsorship opportunities. Many prizes will be available. Why: Fundraiser for TVDSA and to have lots of FUN! Cost: $85 per Player before June 27th for early registration. Late registration will be $100 per player – Includes Golf, Carts, Lunch and more. Register before June 27th to get the early price! The tournament will be a scramble/Best Ball format. Go to the registration site for details on tournament fun and what you get for playing. This is designed for fun and ease – if you can hold a club you can play. Online registration is OPEN – Register or sponsor now. Come on out for some FUN and we hope to see you there! Many Thanks to our Sponsors – We could not do it without you!! Wow – this is Awesome! How do I sign up?